Most often, the wrong kind of paint or painting technique leads to this sort of issue. However, if the bubbles form straight lines from top to bottom and these lines have a similar distance between them, then the issue may come from the mud between the drywall panels. 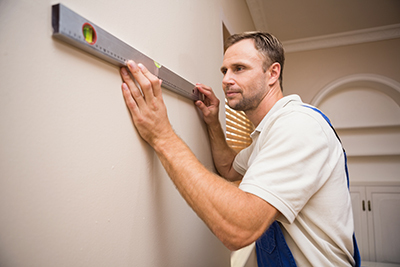 When inspecting your drywall, you can properly determine areas that are depressed by touch. You can do this by running your free hand over any shadows that you find. Through touch, you can locate depressions or ridges that cast the shadows. Circle this area using a pencil.